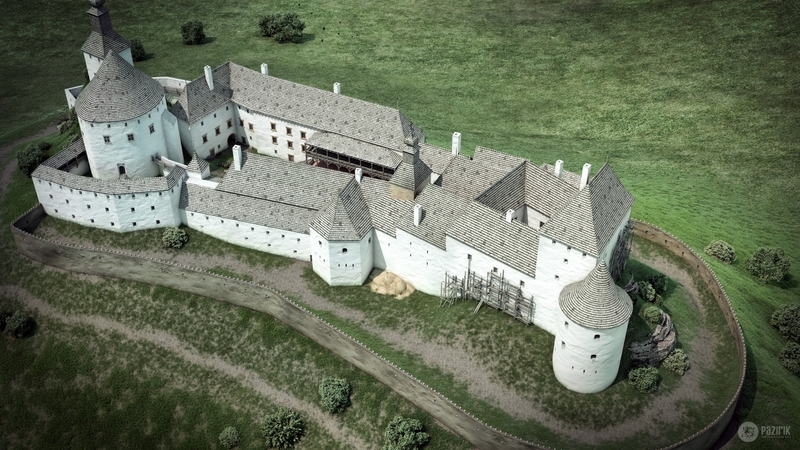 Regéc castle - Pazirik Informatikai Kft. | Pazirik Informatikai Kft. 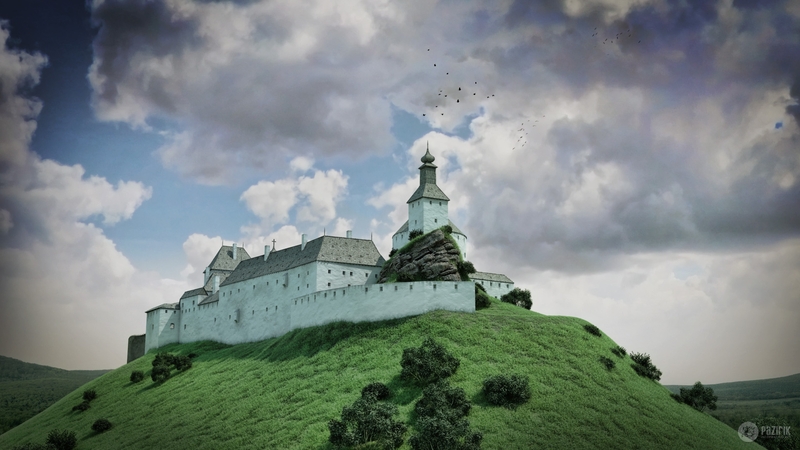 The castle first appears in diplomas from 1307, as possession of Amadé of the Aba clan, an oligarch of Northern Hungary at the time. According to our present knowledge, a tower was erected on top of the rock in the upper castle encircled by an irregular oval shaped castle wall. 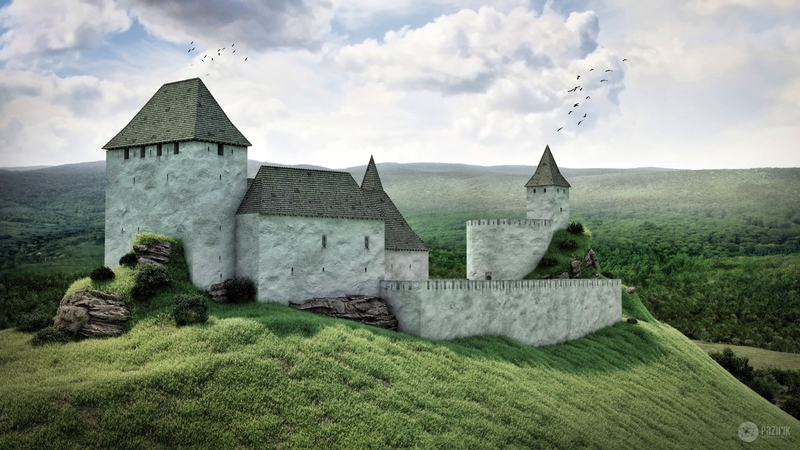 After the fall of Amadé’s sons in the battle of Rozgony (1312) the castle fell into the possession of Peter son of Petenye, from whom King Charles Robert could only take it by besieging it in 1316. 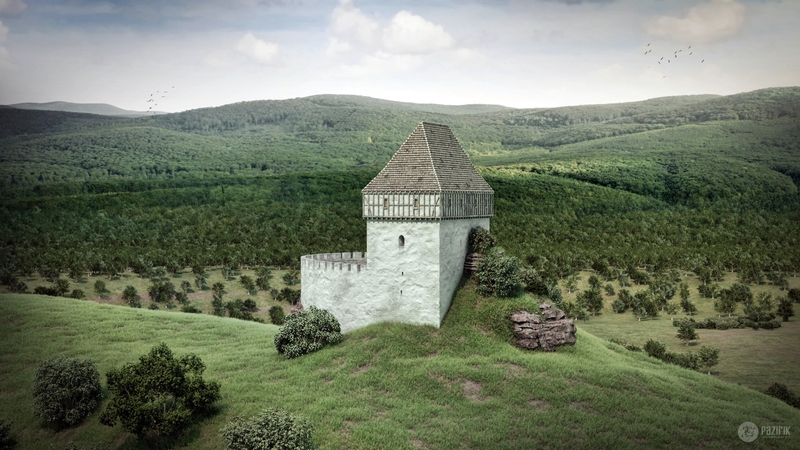 The king kept the castle in his possession, and later King Louis the Great also liked to spend time between its walls as he loved to hunt in the forests nearby. In the second half of the 14th century or by latest in the first decades of the 15th century the arched castle wall of the upper castle was demolished, and a square shaped one was built there instead, with multi-leveled building wings on the inner sides of the wall, and a closed inner yard. 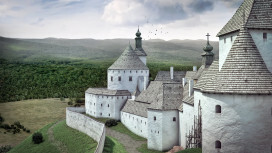 At the end of the 1420s, the castle was given to Steven Lazarevics Serbian monarch who fled to Hungary, and later to George Brankovics by King Sigismund. Regéc got back in the hands of the King again in 1459, and was given by King Mathias Corvinus to the Szapolyai family. 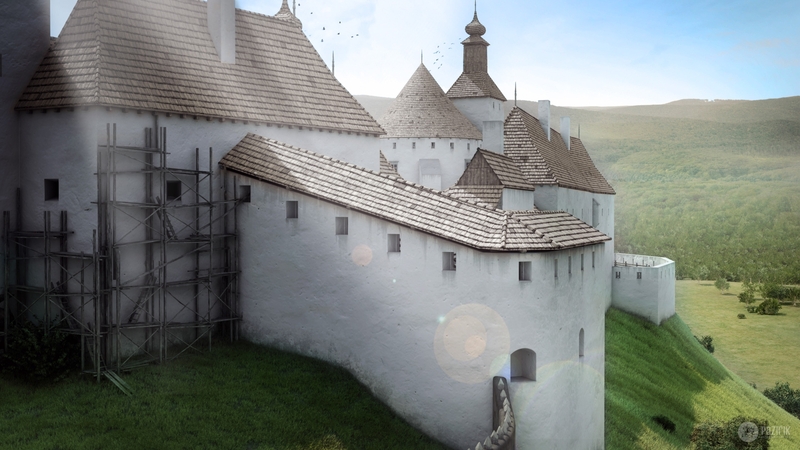 This is the time when the walls were built enclosing the middle castle defining the extension of the castle to the rock of the lower castle. At this time the lower castle must have stood already. We have no available data about the building history of this part. In the end of the 15th century, below the upper castle, a gothic palace building was erected connecting tightly to it. After the death of John Szapolyai, Regéc has been attained by the Serédy family in 1541 and by the Alaghy family from 1560. 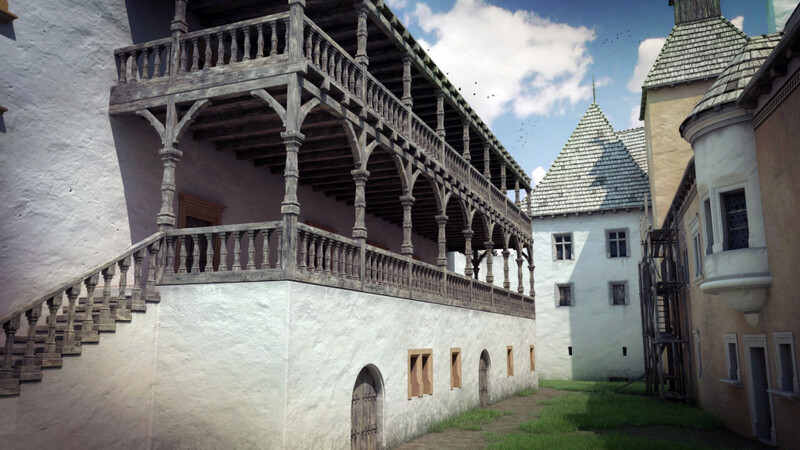 The development of the castle into a renaissance residence started under this period. 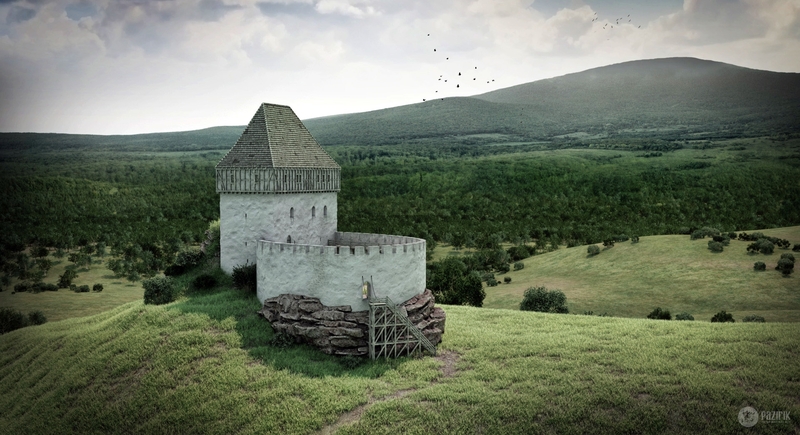 The keep has been rebuilt, and a bastion was built onto its corner. 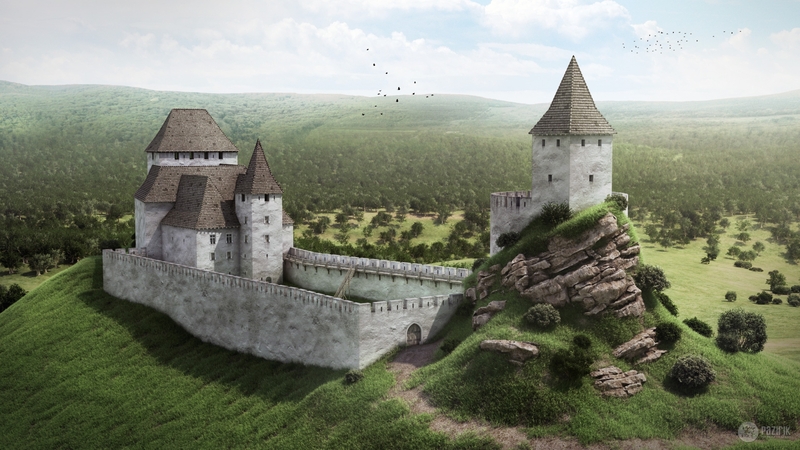 Two square shaped bastions were built on the eastern side of the castle as that part was easier to attack. In front of the eastern walls a ditch was dug and a rampart was created on the other side. The north-eastern corner of the castle has been reinforced and heightened, and later a square shaped bastion was built in front of it. 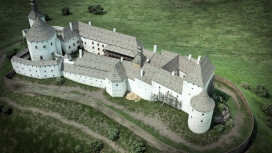 At the same time the south-western corner of the castle was also reinforced by a huge bastion – through which an entrance led to the middle castle yard. 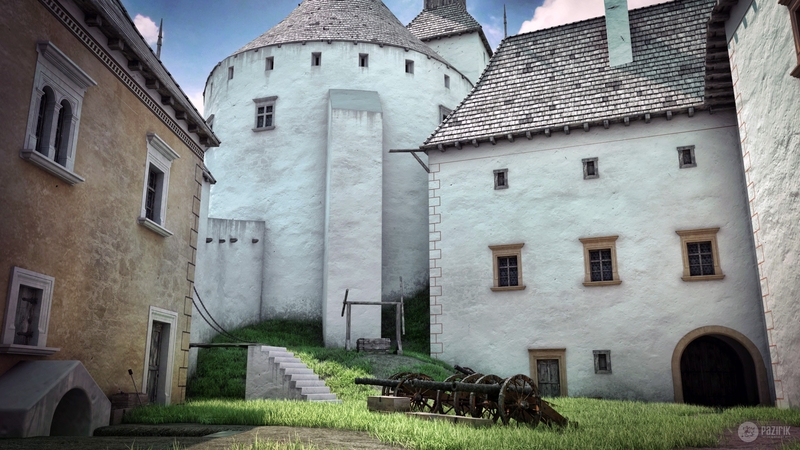 Along the middle castle yard a construction was constant until the beginning of the 17th century, when the castleyard was entirely built in from all sides. 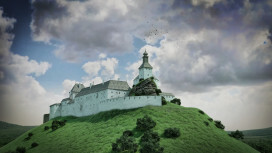 The castle was attained by Nicholaus Esterházy in 1635. George Rákóczi I took it from him after a siege. Following this, the castle remained in the hands of the Rákóczi family. 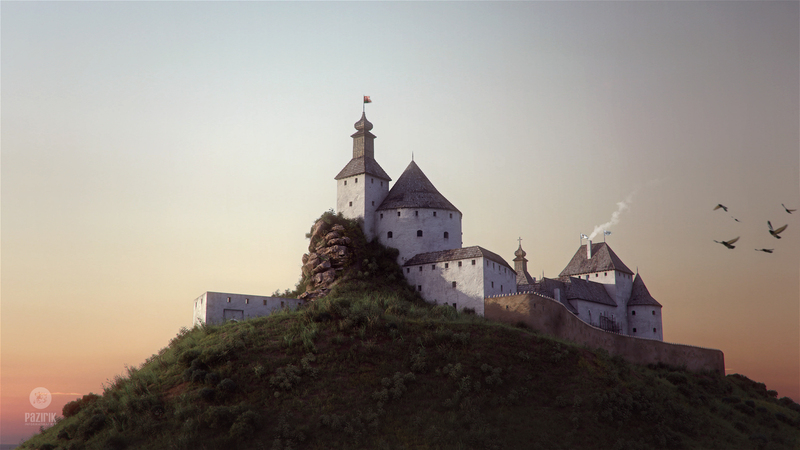 The castle was demolished by the emperor’s men in 1685, after the kuruc rebels of Stephen Thököly gave it up. © 2019 Pazirik Ltd.. All rights reserved! 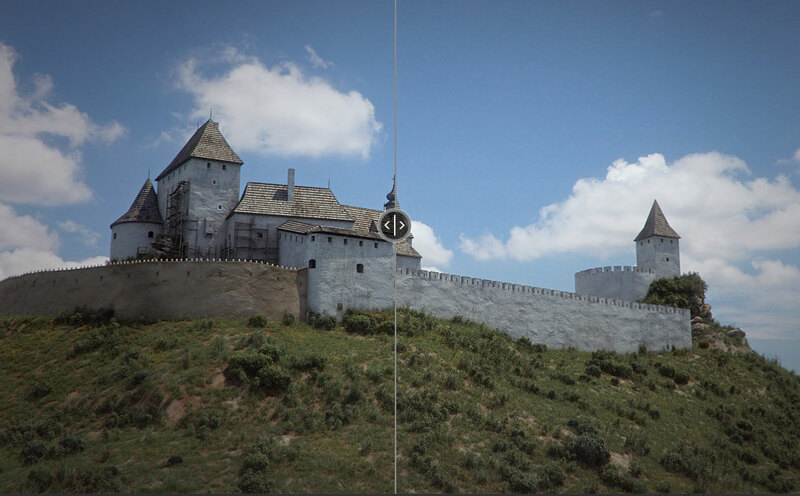 All images displayed on this website are protected by copyright. Any kind of use of these images requires a preliminary written permit from the author.